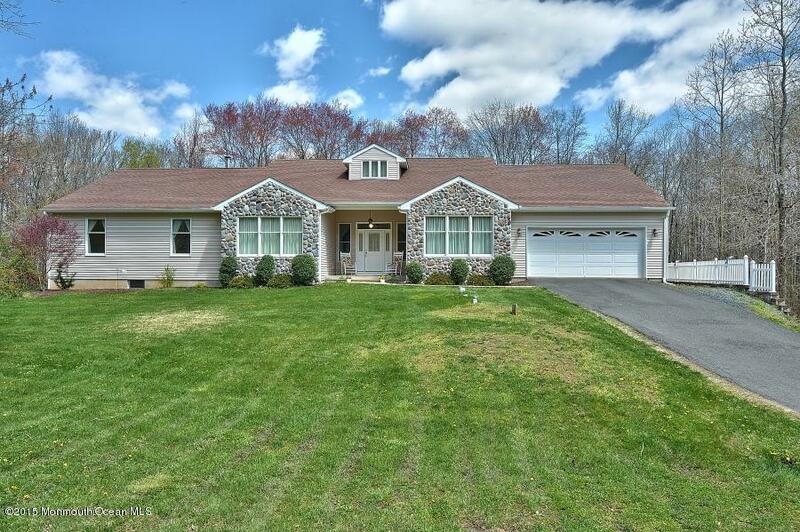 Serenity awaits you in this custom built ranch style home situated on a private 2.85 acre lot in desirable North Hanover Township. Open floor plan concept with 3000+ square feet, & extra high vaulted ceilings, makes this house feel like a home. Offering 5 bedrooms & 3 full baths, with endless possibilities. The fifth bedroom has a large tastefully decorated handicap bathroom and private entrance, which can be used as an in-law suite, home office, or den. Hickory cabinetry, Brazilian wood floors and Italian slate tiles are just some of the many beautiful touches. Enjoy the amazing Sunroom as you relax and watch the wildlife in your own backyard. Full basement, walk-up attic, closets galore & a 2 car garage will take care of all your storage needs.